Last week, the Angeles Crest Highway reopened. This is great news for motorcyclists, and probably bad news for California motorcycle safety statistics. Why? 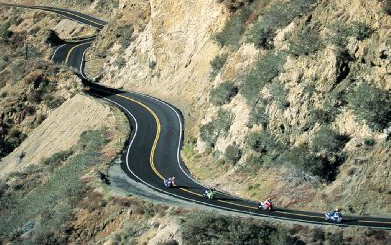 Because every weekend when the weather is nice, bikes go down on the Angeles Crest Highway. Just ask the bartenders at Newcomb’s Ranch, the place for food or a drink within forty miles of it’s location atop the Angeles National Forest. According to them, “several serious accidents occur there every Saturday and Sunday” during summer months. The CHP’s accident data supports this. CHP motorcycle accident statistics show that 164 motorcycle accidents occurred on the Angeles Crest Highway in 2007 and 2008. Eight of these accidents were fatal. Excessive speed was the primary factor in almost all (98%) of them. 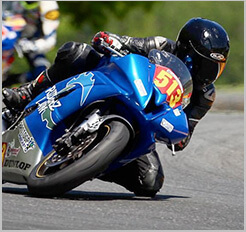 Recently, the California Office of Traffic Safety was given “Motorcycle Safety Coalition Grants” by California Office of Traffic Safety from the NHTSA (National Highway Safety Administration). Some of this money will go toward a concerted effort to enforce speed limits on the Angeles Crest Highway. In other words, watch out this summer if you are riding your motorcycle up the mountain on old Route 2. From now through September 30th, the cops will be out en masse. And they are there to write tickets. We hope that this does reduce the number of motorcycle accidents in Los Angeles. But we also hope that if you’re riding up that way on a sunny Sunday morning this summer, you watch your speed, and don’t get a ticket. It’s the second fastest way to ruin a beautiful ride.